Finally, another episode with the girls! I am pumped up for this one! 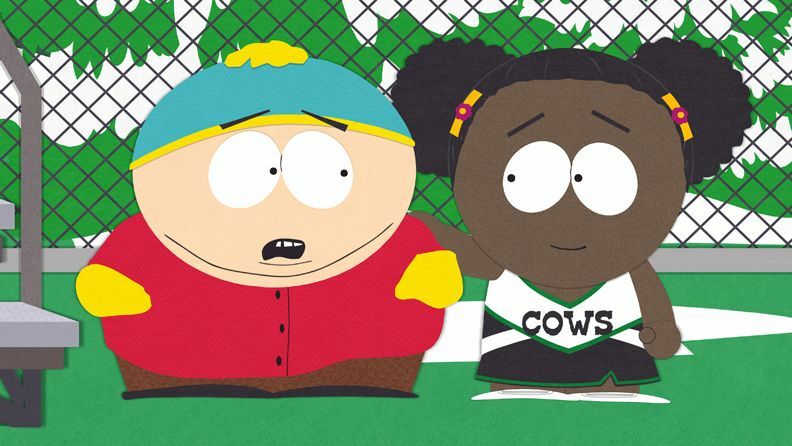 Who knew Cartman liked black chicks? P.S., Bebe's back you guys! 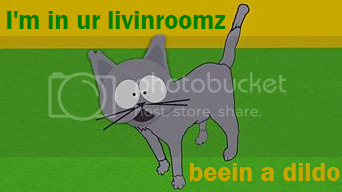 Last edited by nwt000 on Mon Apr 23, 2012 6:23 am, edited 1 time in total. ...I still think he's gonna wind up marrying bacon. Or a huge bucket of KFC, breasts only. For once, I'm not sure what to make of this. But hopefully, it will be a better ep than I think it will be. After all, it IS Cartman with a case of irony. Haha, that would be a hilarious concept. Cartman's so stupid and prejudiced that he thinks two black people were "meant for each other" simply because they're black. I'm interested in this episode. Eric Cartman having a love interest has never really been a topic in the entire show's run (except when he had a thing for Wendy). It's new and exciting. How much of the girls will we see in this one? I hope they have at least the b-plot. Taking the odd Wendy/Eric history out of the equation, Cartman having a love interest is a shiny new idea I welcome with open arms! 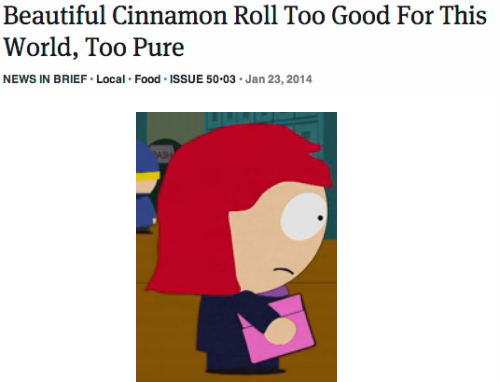 From the clip I can imagine Cartman playing matchmaker for Token and this new character Nicole for the sole reason of them both being black - it's just so quintessentially Cartman. I think he would prefer the skin. If it (hopefully) turns out to be more about Cartman's racial prejudices than his newfound romaticism, the plot should have good potential. There are still a surprisingly-high percentage of Americans who are opposed to interracial marriage so hopefully M&T will get a good rip on them. Seriously, M&T should make Cartman marry bacon at the end of this episode just to make up for all the same 'ol Jack in the crack commercial overload on the full episode player. Holy crap! Did Bebe talk in the preview?! 3 season silence ending???? 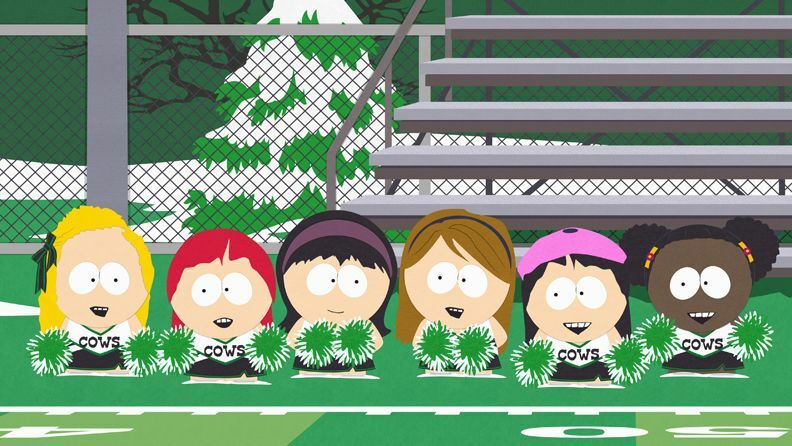 Also, omg a girl episode, Matt and Trey answered our (my) prayers! They answered my prayers too. So, Cartman has become a Jew and now he falls in love with a black girl?? What's next? Is he going to plead with his mom to adopt a ginger kid?? Before I saw the preview pic, I thought he was going to go gay. Seeing as he went Jewish. I remember when we all thought (OK maybe just me) that the show was going to end because of all the loose ends being tied and such, but it seems they were serious when they said some things were just going to change, not end. But will this be good change? I mean, there are some big changes that are ok and worth the risk, but this is something that is a running theme and central to what SP has always been.